"I'm afraid I can't do that Dave". 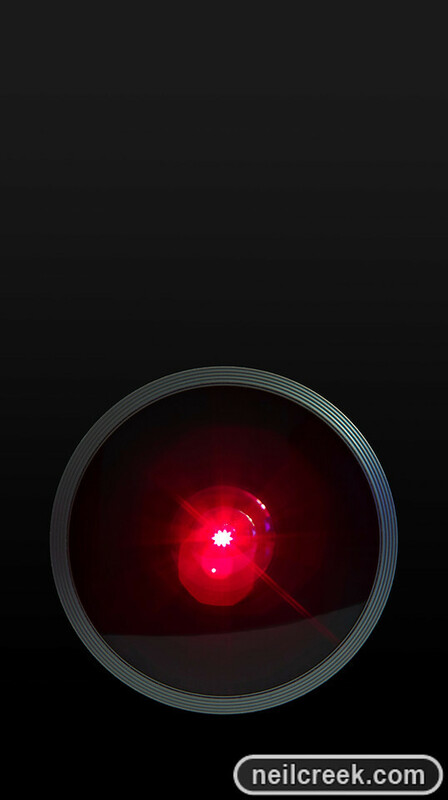 I learned that the famous red eye of the homicidal HAL9000 in 2001: A Space Odyssey was actually fisheye lens with a red light shining through it. I have a fisheye lens and a red light, so I thought I'd create this image as an homage to one of my favourite movies ever.